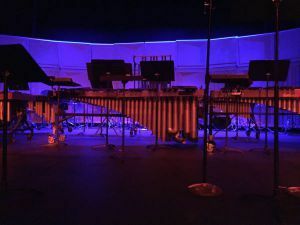 Get ready for a numerical musical journey with Pensacola West Percussion Ensemble at 7:30 p.m., Thursday, April 13, at Pensacola State College’s Ashmore Auditorium, Building 8, on the Pensacola campus. The concert, “1…2…3…4…,” is free and no tickets are required. Doors open at 7 p.m. The concert spotlights guest artist Benjamin Fraley, adjunct instructor of percussion at Troy University, performing Brian Nozny’s piece, “Coin,” for multi-percussion solo and percussion ensemble. Other featured works by Ivan Trevino, Joe Tompkins and Mark Ford showcase the ensemble on a host of percussion instruments. The ensemble is composed of music students from Pensacola State and the University of West Florida. It is directed by Laura Noah, the principal timpanist for the Mobile Symphony, Pensacola Symphony, Gulf Coast Symphony, and the Meridian Symphony. For more information, call the PSC Lyceum Box Office at 850-484-1847.